Home / 2019 / Week 6 – Cinemagraphs & Instagram w/ guest speakers + pizza and drinks! DON’T FORGET: #UNSWPCCAMPUS competition ends in ONE WEEK! Several prizes to be won with a top of $200! Week 6 Tutorial: Cinemagraphs & Instagram w/ guest speaker & Pizza and Drinks! There’s lots to look forward to this week! We’ve got TWO guest speakers, a LIVE demonstration of cinemagraphs and free pizza and drinks! @jamtuna & @bellekringas will take you through their photography journey before exploring the increasingly popular world of cinemagraphs. This will include the tools used as well as a live demonstration incorporating an editing sample. They’ll then move into tips for developing an Instagram presence and Q&A time. Week 6 Outing: Watsons Bay w/ Arc! *RSVP by clicking ‘going’ on the event* AND registering here. As this event is in collaboration with Arc, you must register at the above non-Facebook link. Meeting point 1 – 2:00PM at Circular Quay Wharf 2, to catch the F4 Ferry at 2:17PM. DO NOT BE LATE, as the ferry will not wait. Meeting point 2 – 2:45PM at Watsons Bay Wharf. 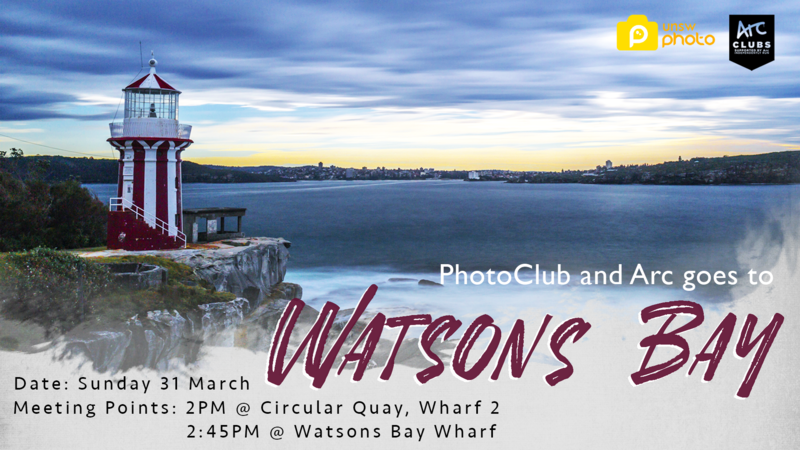 Description: Join us on our first (thanks Sydney weather) photography walk of the year to Watsons Bay! It is an amazing walk with lovely views of beaches, gorgeous coastal sceneries and the iconic red and white Hornby Lighthouse. It is a great opportunity to explore the less busy and urbanised part of Sydney, make precious memories and even new friends! There will also be non-PC members on the walk as we’re collaborating with Arc for the event, so get ready to mingle with all sorts of people! The walk will start at Watsons Bay Wharf and continue onto the Hornby Lighthouse.Please keep an eye on the Facebook event on Sunday in case of wet weather. Camera, DSLR, MILC, Compact, Film, Mobile, as long as it takes pictures! *This event is open to 2019 UNSW PhotoClub members AND Arc members only (please bring your membership card). PhotoClubbers, want to borrow some equipment for free? Check out the list here. There will be two Workshop E events running in week 6. 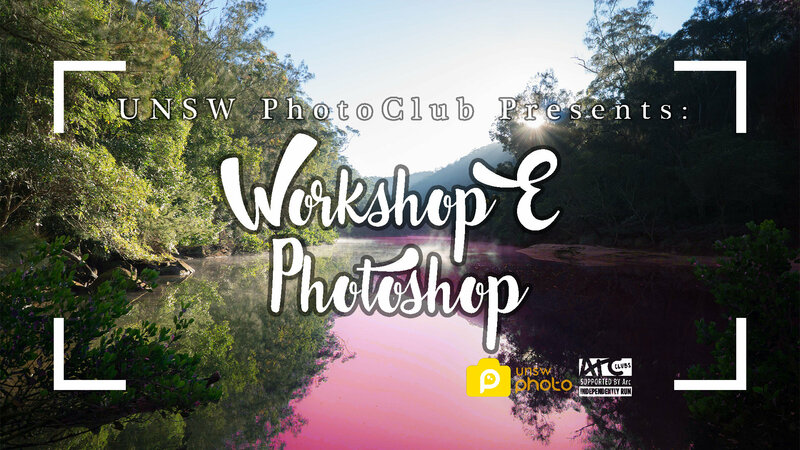 Workshop E – Photoshop will be aimed at people wanting to know how to do certain types of heavier photo editing. Examples might be; “How do I remove this object from my photo?”, or “How can I create a fog over this clear water?”.